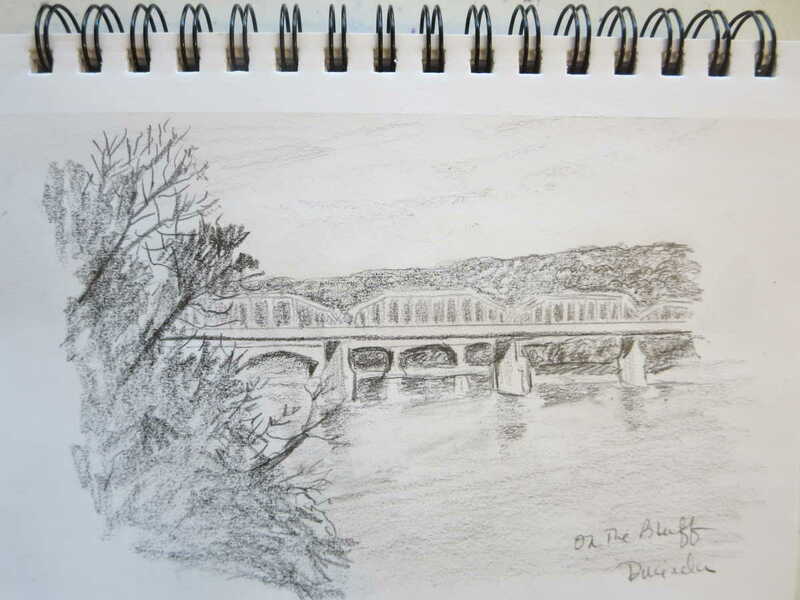 Urban sketching is the act of drawing while on location in areas that you live in or travel to. You can sketch at your local farmer’s market, coffee shop, public park, museum, or favorite street. It is a great way to document the world around you and to slow down and really take in your surroundings by observation. 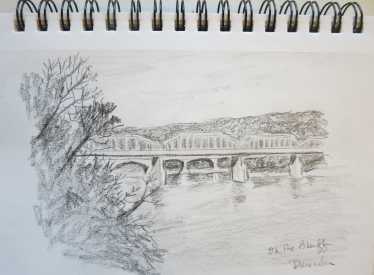 Each week, students will sketch on-location at a different Chattanooga site. Sites will include places that make Chattanooga unique including architecture, bridges, parks, and the Tennessee river. The sites will be easy to get to and comfortable (no hard hikes). The instructor will guide you on how to give the views a sense of place using linear perspective. She will help you identify the composition and indicate the direction of light which will give the drawings form and dimension. You will learn how to simplify the composition, add variety to lines, and techniques for shading. Get as much individual instruction as you need or just come sketch and enjoy being in a small group of artists and observing the world around you. No experience is necessary. Materials: Materials are included. Each student will receive a small sketching kit including pen, pencil, and a sketchbook. If you want to bring more materials of your own with which to work, feel free! Optional but recommended: bring a foldable camping stool or chair , hat/visor, and a water bottle.